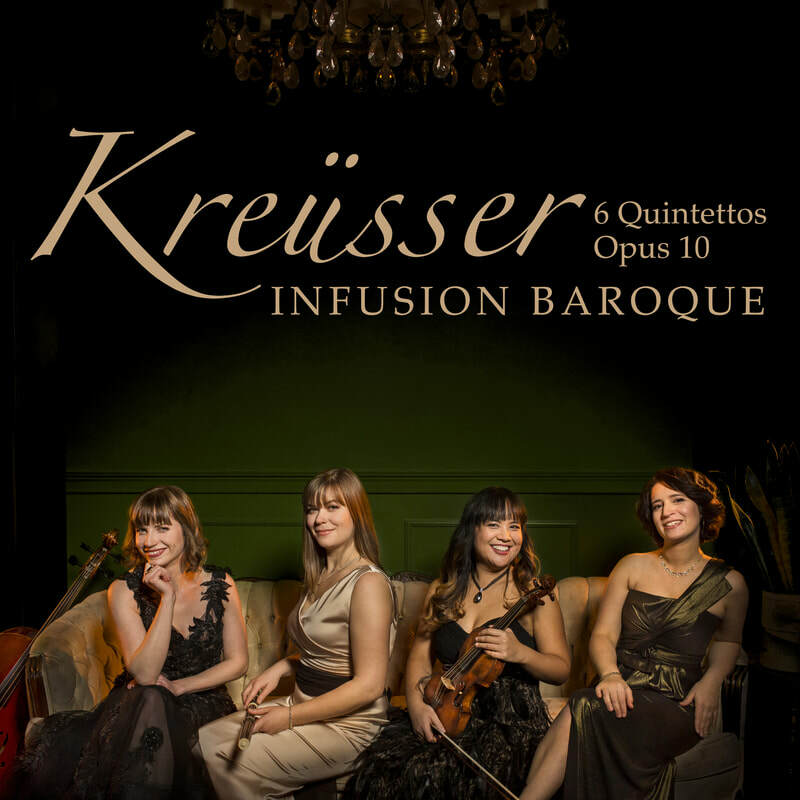 Six elegant and uplifiting quintettos by a new discovery - Georg Anton Kreüsser (1746-1810).
" [A] new CD of works by C.P.E. Bach that comes about as close to pure happiness as any other recording you’re going to listen to anytime soon. " ​Released in February 2017, Infusion Baroque's debut album "1747: C.P.E. Bach" features five trio sonatas by Carl Philipp Emanuel Bach which were either written or extensively revised in 1747. Combining early classical elegance with a wide emotional range, these sonatas are perfectly suited to Infusion Baroque’s refined, sensual, and expressive performance style. The recording also showcases their impeccable ensemble playing and brilliant virtuosity.